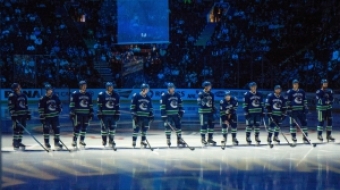 For the first time since the infamous 2009 Western Conference Semi-Final, in which the Canucks gave up an embarrassing 7 goals in the last game, nobody cares what happened that night in the Windy City. Canuck fans no longer cringe when they think of the United Center, and Hawk fans no longer have bragging rights. 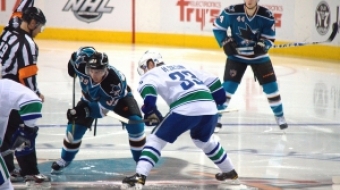 This is a very different Vancouver team than the 2009 version. The 2010 edition is much deeper, much more mature, and most importantly, they have revenge on their minds and hearts. 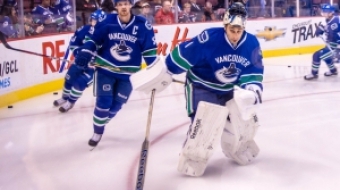 Saturday’s 5-1 drumming was proof of all of that, as the Canucks outplayed, outworked and outclassed Chicago and proved that this year could very well be different. Christian Ehrhoff opened the scoring midway through the 1st period as Mason Raymond dug the puck off the side boards and found an open Ehrhoff at the point. The German d-man (in his first year with the Canucks) put a shot on net that fooled Hawk goalie Anti Niemi and found the back of the net. Raymond later buried a slap-shot past Niemi after the Chicago goalie let out a humungous rebound on a harmless looking Ryan Kesler wrist-shot, to finish the 1st up 2-0. Vancouver didn’t let up in the 2nd, as just 32 seconds in Henrik Sedin scored to give the Canucks a 3-0 lead. Kyle Wellwood and Michael Grabner each added singles later in the period to give the road team a commanding 5-0 lead. Cristobal Huet replaced Niemi in net for Chicago in the 3rd, but wasn’t busy as Vancouver was on cruise control the rest of the way. Patrick Kane spoiled Roberto Luongo’s shutout 2 minutes into the final frame, but the Blackhawks wouldn’t beat him again en route to the 5-1 final. Luongo was very strong in net all game making 36 saves, and looks to have regained his form as he has now played incredibly for 10 straight periods, heading back to the 1st round with the Kings. Bobby Lou probably has more to prove than anyone as he was at fault for a number of the goals in last year’s game six. He said it was a great game, and it was nice to set the tone of the series early in what was surely a statement game for the Canucks. “It was nice to start that way. No doubt about it. That being said, it was only one game,” said Vancouver’s captain, who made 17 first period saves. All 4 lines contributed offensively for Vancouver, proving that if you shut down the Sedin line, there are others who can hurt you, a luxury past Canucks teams have not had. Although Henrik scored a goal, him, his brother and Mikael Samuelsson combined for only 7 shots, but weren’t needed as much as usual as Vancouver was able to run four lines much of the night. The much storied troubles of the Canucks penalty kill seem to be an issue of the past as they killed off 5 of 6 penalties, allowing only one powerplay goal; a weird one that Luongo thought he had covered, but was eventually jammed in by Kane. Vancouver went 1-4 on the powerplay. Chicago seemed to lack the physical play that was so affective in last year’s playoffs, and I wouldn’t be surprised to see either Adam Burish or Ben Eager enter the lineup Monday night to give them more grit and toughness. Also, the so-called “crease crashing” of Luongo wasn’t really on display Saturday, so expect some more traffic for Roberto on Monday as well. Game 2 goes Monday night in Chicago with puck drop expected just after 5pm.